10% OFF EARLY ENROLLMENT FOR THE SPRING SEMESTER OF CHILDREN AND TEEN CLASSES. Just pay in full by December 14 to take advantage of this limited time opportunity. View our new schedule of classes to see the new and exciting classes we’ll be offering in the new year! 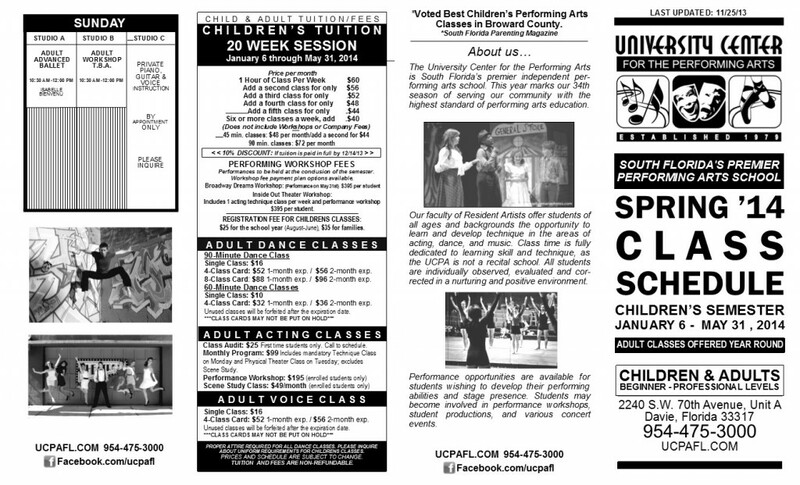 If you have any questions, call us at 954-475-3000 and we’ll be happy to help you plan your performing arts schedule.